If you don’t know Sennheiser yet, it probably won’t be long before you do. Some months ago I searched for a set of headphones that would withstand the (literal) deluge of sweat with which I bathe them, as I walk or jog my daily 3-6 miles. I settled on Sennheiser’s sport headphones, which are designed so that they don’t fall out when you run, are comfortable in your ears, still sound good when wet, and can be rinsed in tap water to clean them. 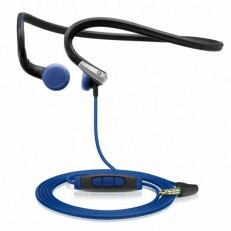 If you’re interested in the headphones, here’s the link to their site. But that’s not what this is all about. “Hello Mr. Gregory, Thank you for the email and kind words. My colleague Mike Lieske, our Director of Operations will contact you on Monday to present shipping options for your consideration. Thank you for the support of our brand. Seriously? From the President of Sennheiser? Responding to me personally, the next day . . . on a Sunday no less? True to his promise, on Monday the 29th I received an email from Mike Lieske proposing a wonderful solution to my frustration. He provided me with a discount code for free shipping and asked if I had already placed the order so he could apply the discount. This is what customer service looks like! This is the kind of customer service we aspire to at FloorTech Group. Try us and see if we measure up . . . and try those headphones. No Waxing. No Staining. No Scratching. For Life.